There was a driver quality Jaguar E-Type being auctioned off on Bring a Trailer, and I was among the last few bidders attempting to win the car. I didn’t win the auction. 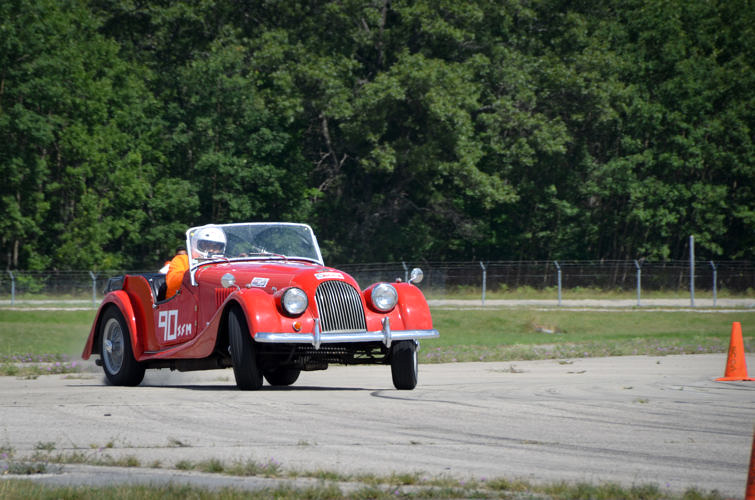 The very next day, my friend Soizic forwarded me a Craigslist ad for a local 1967 Morgan Plus 4. The car was rescued by Bret, the manager of Auto Europe, a local dealership of Lotus vehicles and service center for all things vintage European. It was found in a warehouse in Ohio, brought to Michigan, and revived. I bought the car the day I test drove it. The Morgan has been in my fleet since July of 2016. The car is very solid, with almost no rust on the steel chassis and only a little bit of wood rot on the body. I’ve been spending most of my time driving the wheels off of the car, taking it on as long a road trip as I could bear (record for distance driving in one sitting so far is 4 hours) and autocrossing the car locally and nationally. I am so very happy to have a Little British Car in my fleet, and an extremely rare and unique one at that.